Rarely does a home of this calibre come on the market: classic Georgian on the outside, completely new on the inside. This perfect family home has been fully renovated from top to bottom with exceptional attention to quality and detail. Its curb appeal is traditional, but it boasts all the luxuries of a new home. The 2007/2008 renovation was carried out with love to craft a true family home. Taken back to the studs and extended by Whitehall, the workmanship is of exceptional quality. 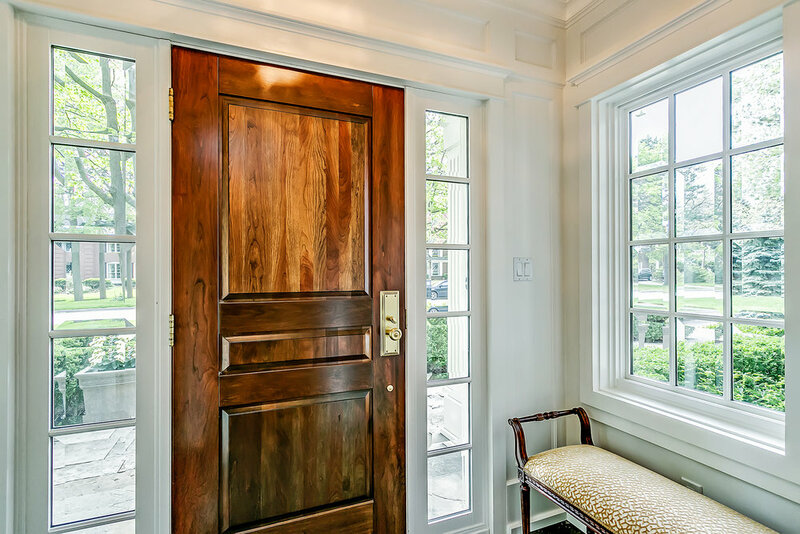 The architectural integrity was further elevated though the work of Oakville Architectural Millwork. Not a detail has been overlooked or a corner cut. New double-hung Ridley windows, roof, furnace and AC, weeping tile/waterproofing, radiant heating system in the basement for comfort and oak flooring throughout. And it’s not just the inside that needs to be seen to be appreciated. This home’s spectacular lot is perfectly private. Backing onto park and green space, towering trees enclose a backyard oasis complete with saltwater pool, outdoor kitchen, cabana, and extensive landscaping. Nestled in the heart of Morrison it is hard to beat the location. Situated on a quiet family street, steps to some of the province’s best public and private schools. E.J James and St.Vincents are metres away. A short walk through the park takes you to OTHS and it is not a far bike ride to Maple Grove, Linbrook, St.Mildreds and New Central. All you need to do is move in and enjoy. This home is a rare find that must be seen.